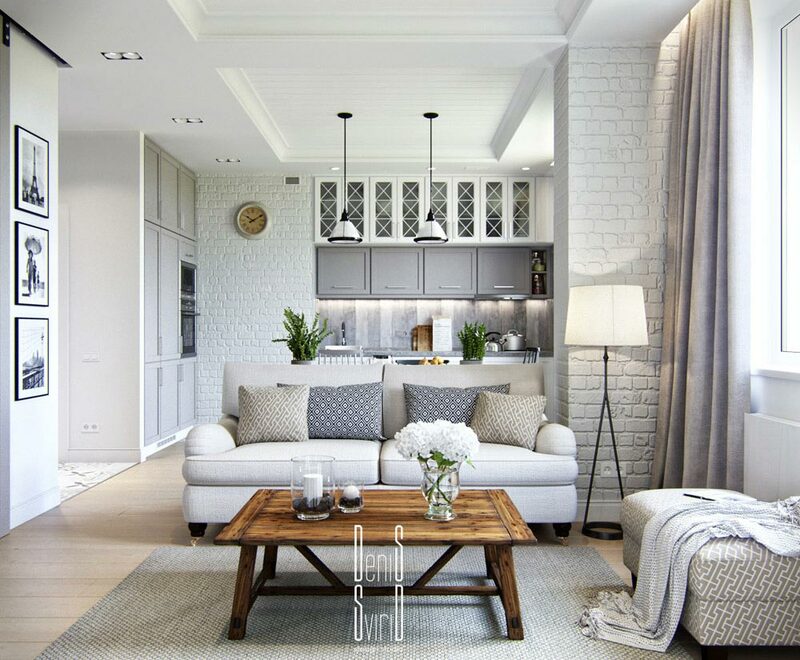 Nestled within the Odesskaya Oblast area in Odessa, Ukraine, you will find this cute as a button apartment aptly titled: Le Petite Apartment – for it is truly “the small apartment”. But it definitely does not show up small in either it’s efficient design, nor it’s beautiful interiors. 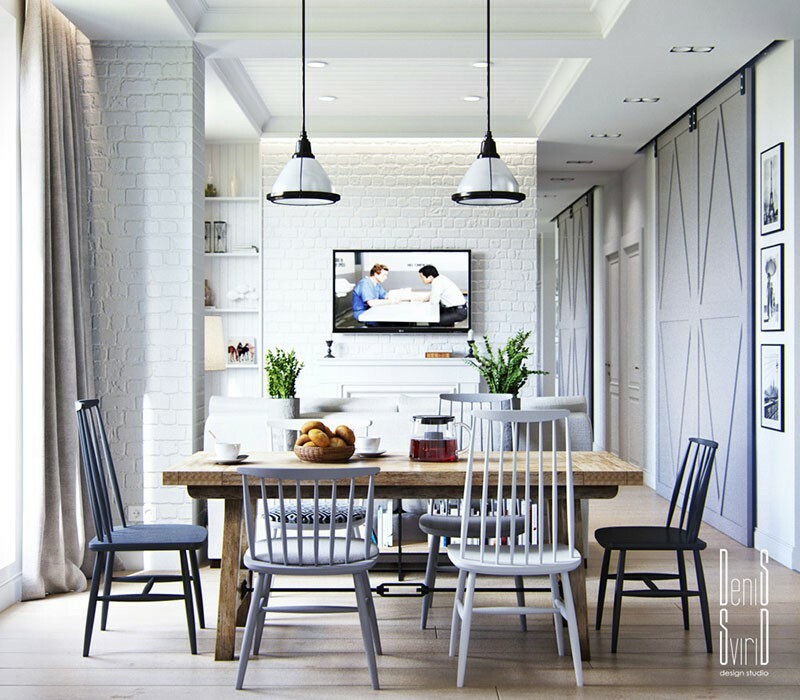 Offering one floor of elongated space, the kitchen and living room meld harmoniously and have elements of a white brick throughout. 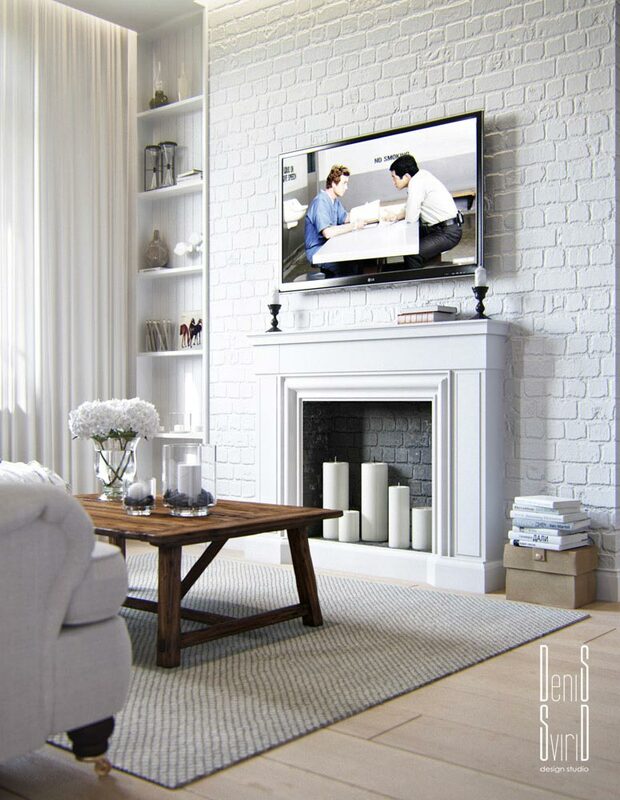 From the pillar semi-separating the kitchen and living room, to the brick hearth beautifully surrounded by a white mantle filled with candles for ambiance, to the brick backsplash within the kitchen …all add texture without seeming redundant or overused. The kitchen also provides high-gloss grey cupboards, delivering a timeless yet modern appeal, and adds to that with a mish-mesh of chairs that surround the table, a kaleidoscope of black and white mosaic tiles also line a portion of the floor in front of the kitchen sink, and these same tiles add a flare to the apartment in perfectly placed pockets throughout the space. 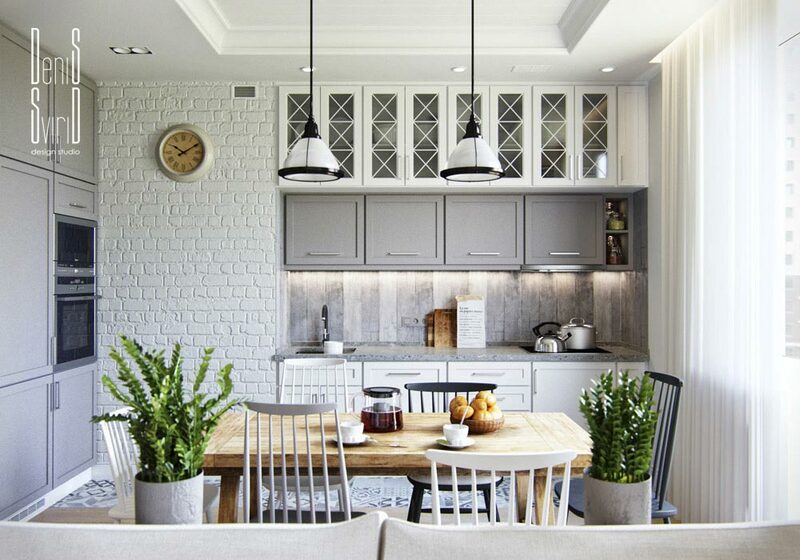 The washroom is also largely a white space, but with the upper half of the walls being comprised of long and rough cement bricks, adding texture to their tone, while keeping the lower portion a contrast of clean gleam. 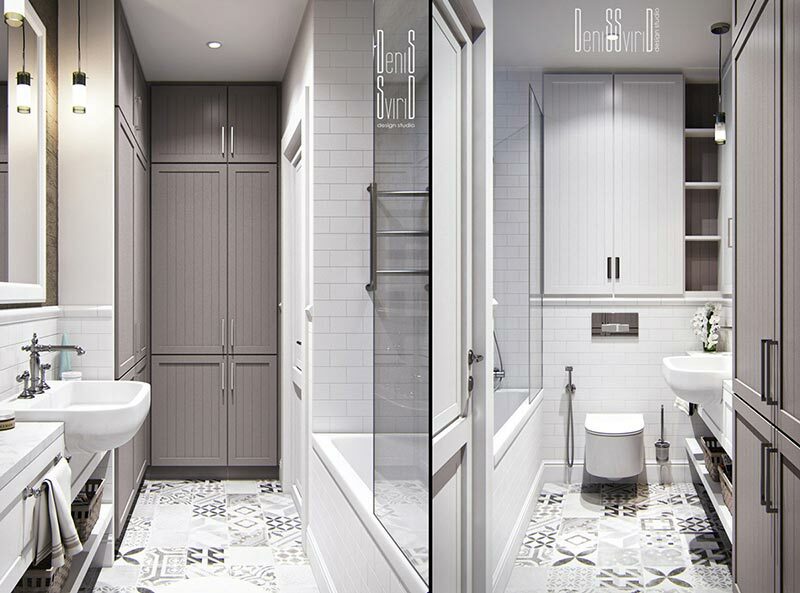 That same contrasting look can be found in the master bath off of the master bedroom, which is found behind a sliding grey barn style door, saving space and also giving the apartment a splash of contemporary amidst mildly traditional building blocks. She might be small, but she packs a punch of timeless beauty, and we would be proud to call her our own!